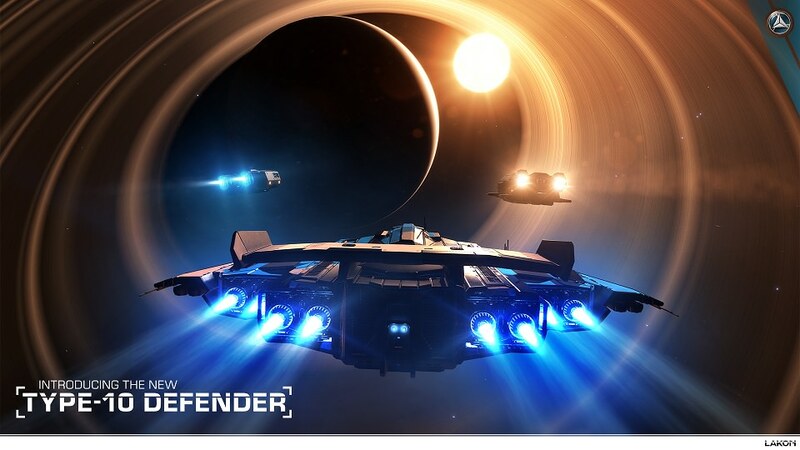 At 2:14pm on the 20th December 2017 Frontier announced the release of the Type-10 Defender. “The Thargoid threat is rising. We’re receiving reports of attacks on space stations and devastation across the galaxy. Commanders have been requested to embark on dangerous rescue attempts to shuttle survivors away from the menace. “There’s no doubt that we’ve got a difficult task ahead. But it’s not over yet… With the urgent need for new weaponry apparent, the Alliance Navy has commissioned Lakon Spaceways to overhaul the Type-9, in response to recent events. 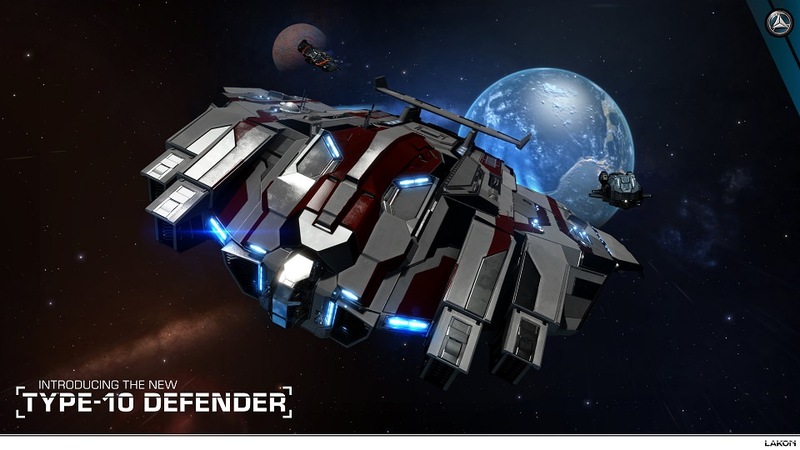 “The result of this collaboration is the new Type-10 Defender, a military behemoth specifically built for combat and absorbing heavy hits. It’s available now from most Alliance-controlled, high-tech systems. The 13th December 2017 saw the Thargoids attacking stations and its inhabitants fleeing for their lives. You can see the official Frontier trailer for this below. 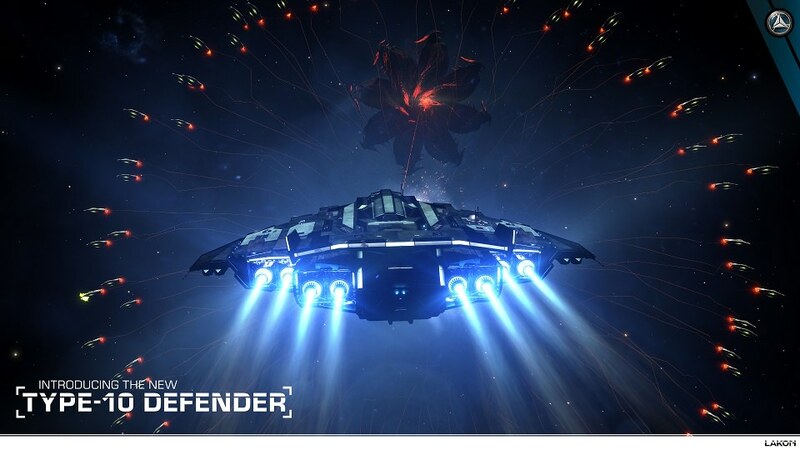 ‘For episode 2 of Discovery Scanner, we’re joined by Lead Programmer Mark Allen, who will talk us through how he brought the Thargoid swarms to life and created their fascinating behaviour patterns. At 2:27pm on the 18th October 2017 Frontier announced a PS4 update only to fix some texturing issues which have been causing problems. You can find the patch notes added to the Elite: Dangerous Current Features page. As of 6:29pm The Return is available on all platforms to download and play. The patch notes for 2.4 can be seen below or on the official website here, or on Reddit, here. Eventually they will be view able on this website at the bottom of this page. “Today we have released update 2.4, The Return. We expect the servers to be down for approximately 9 hours. As usual with these updates, this amount of time could be longer than expected… we’ll keep you up to date with the server status throughout the day. See our social media channels for regular updates. We’re sorry for any inconvenience caused by the downtime – thanks for your patience! “The update to your client will be around 7 GB. Mysterious audio for mysterious things…..
Added another cool mystery thing…..
Frontier have commented on the server downtime before the release of 2.4: The Return. “We hope you’re just as excited as we are for the launch of The Return 2.4 tomorrow (26/09/17), and we can’t wait for you to be in direct contact with the Thargoids in-game for the first time. As we’ve mentioned before, The Return 2.4 will unfold in a different way to previous updates, with the narrative and content releasing over the coming months. “Due to the narrative and secretive nature of the update, we won’t be hosting a stream during the downtime tomorrow. We want you to experience the content for yourselves, so instead we are planning a Thargoid stream for this coming Thursday with our scientific community. There will also be a competition during the downtime that will get you sharpening up your combat skills – look on our social media channels and here on the forum for more information about that competition and how you can get involved. “We expect the galaxy servers to be down from 9AM BST for approximately 9 hours +. There is a chance that this could run over, so we really appreciate your patience. As usual with these updates we’ll keep you as up to date as possible… I’ll post the changelogs here, and add update information to the thread as it comes in. Patch notes and any other information will appear on this blog when available. The release date for 2.4: The Return will be the 26th September 2017. The official cinematic release trailer, ‘Commander Chronicles: Retaliation’ can be seen below. You can read the preview here. You can watch Frontier’s Thargoid Lore stream containing this video, some Thargoid history and some brief details about what to expect for 2.5 and onwards, here.